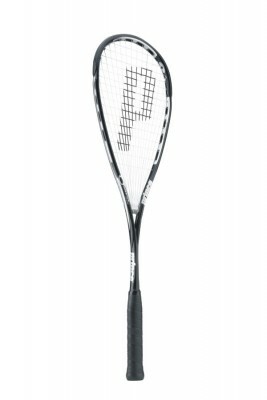 The Prince O3 Speedport Black squash racket represents the perfect choice for players wanting more power and control in an extremely aerodynamic, lightweight frame. The Prince O3 Speedport Black, as in the case of all O3 speedport frames, benefits from being up to 24% faster through the air than traditional frames leading to an increase in racket head speed throughout the entire swing pattern. The benefit of being drastically faster through the air is faster, more consistent strokes leading to more power, control and precision. Speed: Wind tunnel testing proves O3 speedport rackets move through the air up to 24% faster than traditional rackets. You can therefore hit your best shots, more often. Sweet Spot: Laboratory testing proves that O-ports strenghten and stabilise the frame for up to 59% bigger sweet spot, creating a Sweet Zone.